This Titanium-ized version of arguably one of the best pocket-sized tools known to man is available for only a very limited release - only 100 pieces are being manufactured, to be precise. 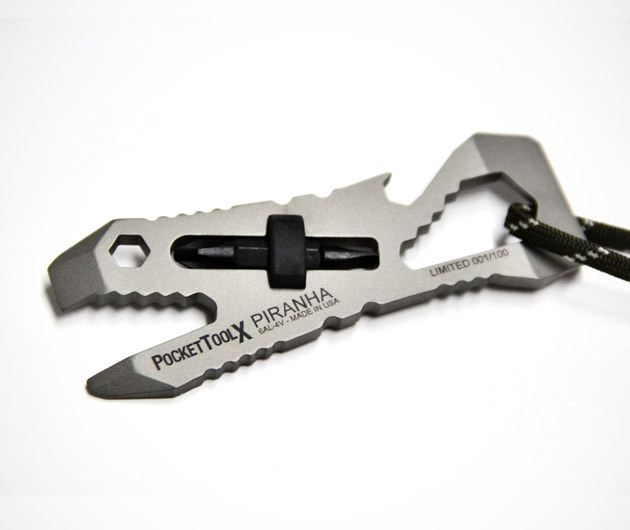 What's amazing about this is that the Piranha Titanium Pocket Tool ($95) even weighs 30% lower than its original stainless steel counterpart. The pocket tool's excellent functionality remains intact though as it is capable of opening your favorite beverages, prying things open, tightening screws, and loosening bolts. With its compact physique, you can bring it just about anywhere (yes, even aboard airplanes as it is TSA-compliant), ready to get you out of any bind you may encounter.